Four ways noncontact sensing technologies improve home appliance designs. By Gwenn Gmeinder, Business Development Manager, Littelfuse. From measuring electricity usage to turning off lights via remote control, smart technology is part of many of today’s consumer electronic devices. Within the home appliance industry, sensors are playing a significant role in how consumers interact with smart appliances like washing machines, dishwashers and refrigerators. Temperature sensing and control are among the most important and well-established sensor functions in modern home appliances. Among a variety of factors, the introduction of MPU control systems in appliances has helped drive the application of sensing technologies within these smart devices. Large mechanical switches, contactors and relays are no longer required for switching applications that historically operated on 120VAC. Now MPU controls allow for the use of much lower power, noncontact sensing technologies like reed switches and Hall effect sensors. The projected volume for the global household appliance industry for 2014 was 760m small and large appliances. As more microcontrollers are used in a wide range of household appliances, the annual number of appliances produced is expected to increase to 990m units in 2017, based on current market data. Home appliances that use sensor technologies include both small and large household appliances as well as those used for heating, ventilation and air-conditioning. As shown in the table below, sensor technologies for position, proximity, level and speed controls are used across a broad array of appliances. Multiple sensors are required in each appliance. The use of MPU-based sensing and control systems has diminished the need for large mechanical contactors/relays and switching technologies that traditionally switched several amps and incandescent light bulbs. Based on the current technology demand, smart sensing requires low-voltage and low-current switching/sensing devices. Noncontact (touchless) sensing devices are ideal for replacing the mechanical units. Low-cost technology options that can give both digital and ratio-metric outputs are also desirable. Rising energy prices and government regulations demand energy-efficient appliances. The use of sensors in multiple applications, including smart power grids, smart buildings and smart industrial process control, helps enable a more efficient use of resources and a reduction in greenhouse gas emissions. Modern appliances with built-in efficiencies from advanced sensors dramatically reduce the required levels of energy and water, while minimizing the amount of waste fluids for disposal. Worldwide demand continues to grow in Asia, South America and other continents for new appliances with improved efficiencies and energy savings - at low prices. Home automation and consumer convenience are driving the need for household appliances with smart sensing technology. As modern homes become more dependent on smart technology, smart appliances with noncontact sensing will be in the best position to support future smart home infrastructures, allowing synchronized communication and control. Author Bio: Gwenn Gmeinder is the North American Business Development Manager for sensor products within the Electronic Business Unit at Littelfuse. For over 30 years, he has worked with sensor technologies at several companies. 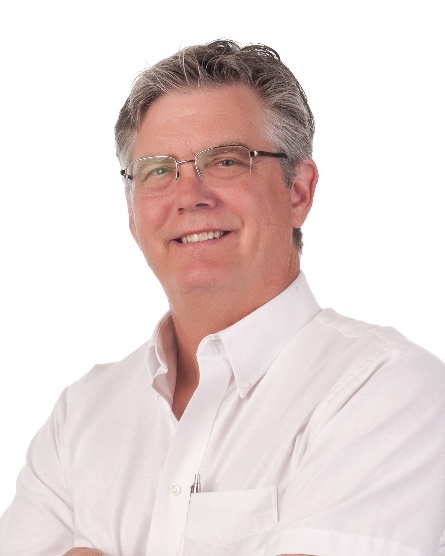 Gmeinder joined Hamlin in 1978 as a product design engineer and began managing its global business development in 2007. He has held his current position within the company (now part of Littelfuse) since June 2013. Gmeinder earned his BS in industrial technology from the University of Wisconsin-Stout. He can be reached at GGmeinder@Littelfuse.com.